Click the "Settings" button on the main interface to access the settings interface, which provides more options for where and how the imported data will be placed in your Excel worksheet. 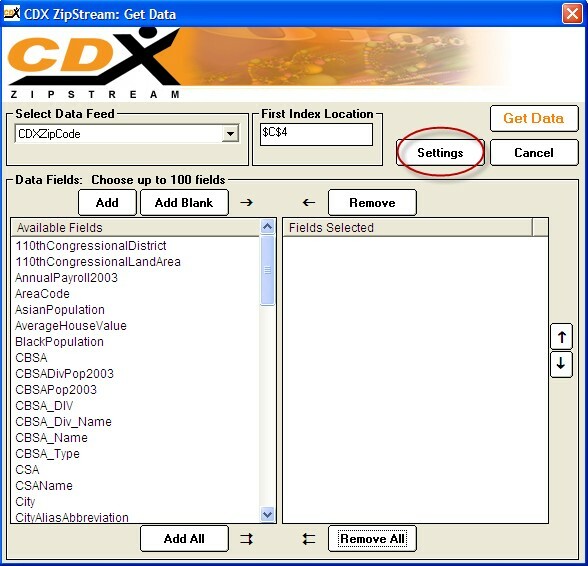 You can also access this by clicking on "CDXZipStream Settings" from the Application Settings button on the main toolbar. 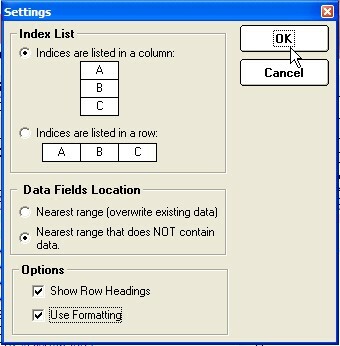 The settings interface specifies the configuration of your data indices list (either in columns or rows), the location of the imported data fields, and options concerning row headings and data formatting.